I used to ride ATC’s when I was a kid. This was in the days before quads existed. 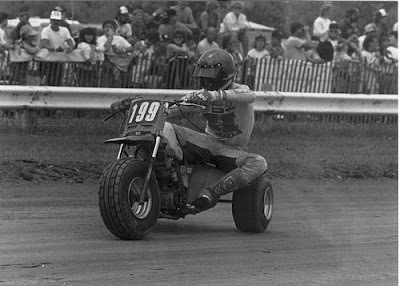 ATC’s were a unique and dangerous 3 wheel creation that mangled many of kid, me included. I was in Glamis when I was 14 and launched off a sand dune on my Honda 250R. I landed front wheel first, flew in front of the bike and the bike landed on me breaking my pelvis. I have hated all 3 wheeled vehicles since that day. Today I designed my first Trike, I still have a strange taste in my mouth.